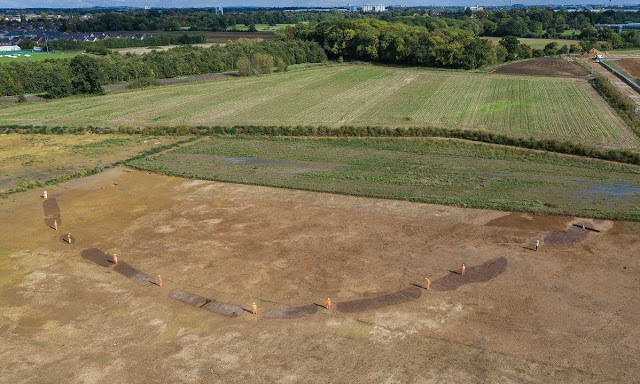 A major 5,500-year-old Neolithic ceremonial gathering place known as a causewayed enclosure has been partially uncovered at Riding Court Farm, as part of CEMEX UK’s archaeological programme which is monitored by Berkshire Archaeology. Such sites, defined by encircling bank and ditch segments with gap entrances, represent some of the earliest-known acts of monument building in Britain. It’s thought that the Riding Court enclosure may have been seasonally occupied, a place where communities gathered to undertake ceremonial feasting, exchange of goods, the marking of festivals and social obligations. The Wessex Archaeology website quotes fieldwork director, John Powell, who said: “The discovery of, and chance to excavate, an early Neolithic causewayed enclosure is incredibly rare. DVS is in touch again with Alistair Barclay, who was involved with us at Southlea and is now managing the work at Riding Court. He and his team are keen to keep the local community informed so that later in the year they plan to run displays and talks for Datchet, as they did at the huge Horton Site a few years ago. 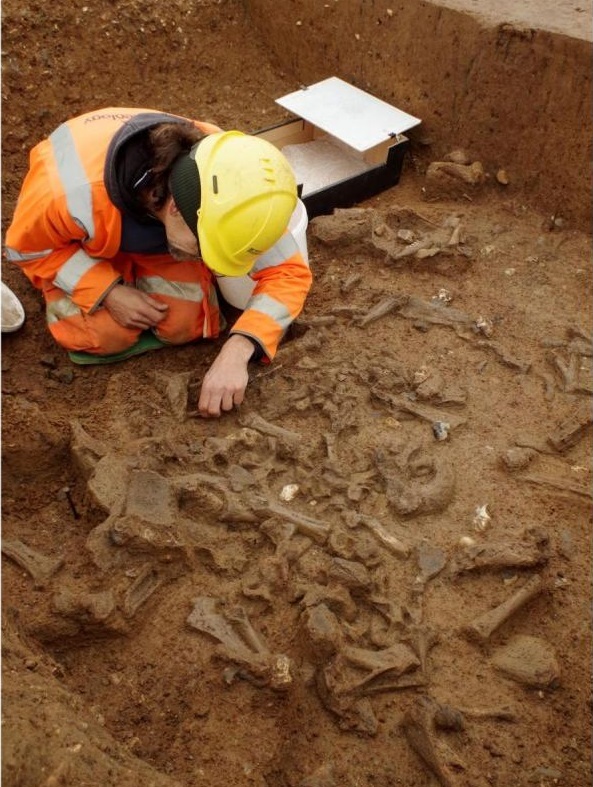 In the meantime, you can read more on the Wessex Archaeology website, or watch a video about the discovery on YouTube.